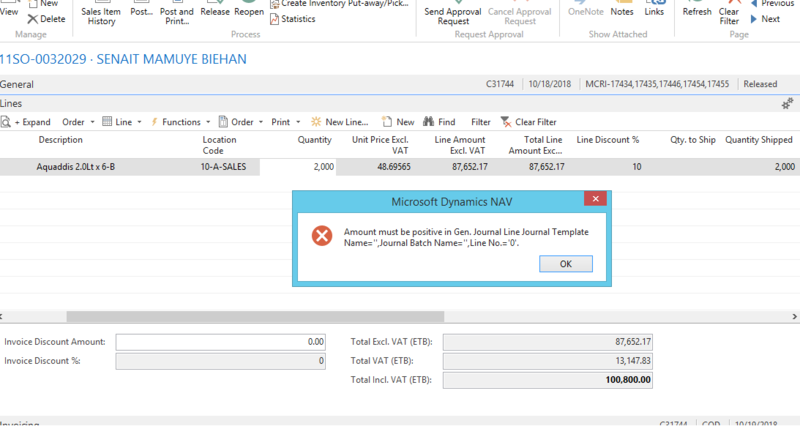 NAV 2016 Sales order is giving me an error message when trying to invoice it. 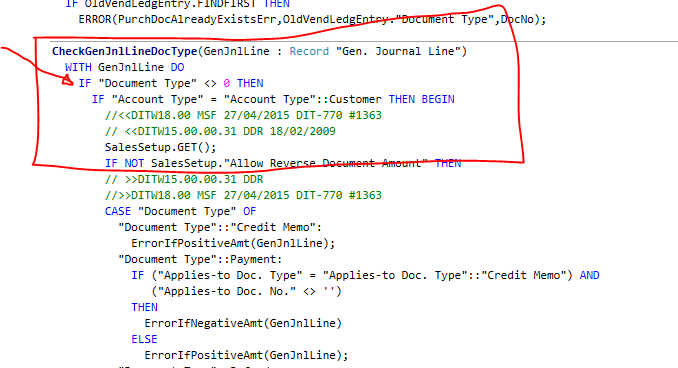 When i try to invoice the last portion of partially shipped (shipped in more than two phases) sales orders in NAV 2016 ,it is giving me "Amount must be posetive in Gen. Journal line....." error, which i attached the screen shot here with. Any idea what is causing this problem, i need help ASAP. Wahat is your Qty. to Invoice value? as you can see from the above screen shot, order quantity is 2000 we shipped this quantity in to phases with two separate sales shipments each with a quantity of 1000, totally we shipped all the ordered quantity 2000 pieces. However, when we try to invoice the order after the second shipment, it gives us the error message i mentioned before , we guessed the issue could be a rounding problem caused by hidden after point decimal numbers so as a temporary solution we deducted 1 piece from the second shipment of 1000 and give it in the quantity to invoice field 1999 and when we try to invoice it invoiced the 1999 with out and issue but still we are left with 1 piece outstanding in the quantity to invoice field. To make it more clear ,the above is the screen shot of the debugging i made. the underlined line is where the validation error is happening. When i hover in to the line the pop up comment shows the Amount field has a value of -0.01, even if i have no idea what it means and where it gets its value from. 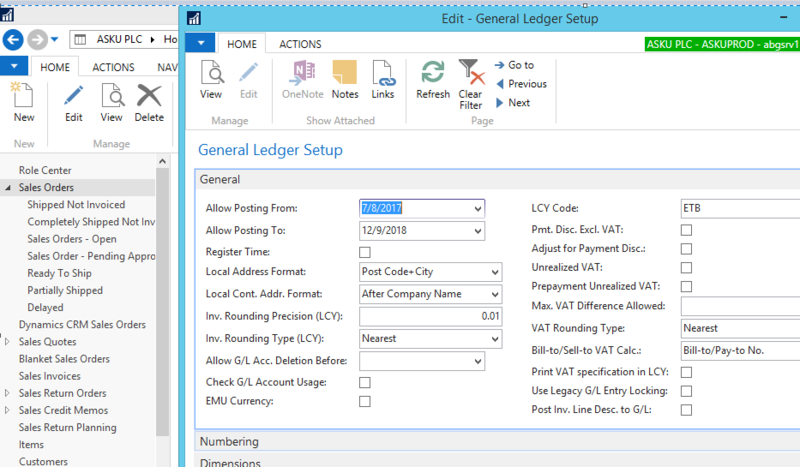 Sales invoice must be rounded according to Amount rounding precision in G/L setting. System wants to post 48.70 and tries to post -0.01 to set the overall amount to 48.69 (48.6965 rounded down). 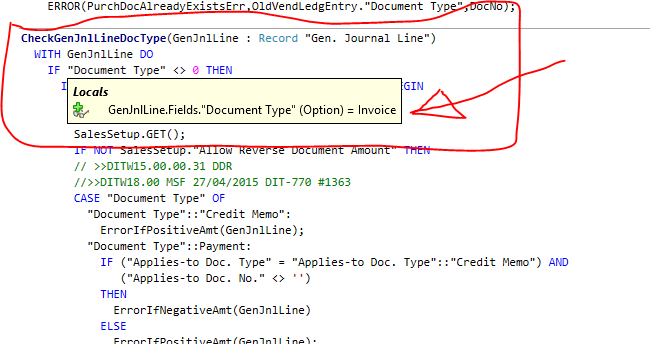 As you can see from the above screen shot the document type comes to the function is "Invoice". When i change the inv. Rounding precision(LCY) to 0.1 instead on 0.01, my invoice posted fine. Even if , i couldn't understand the logic behind, what matters the most is my invoice is posting.